The Honda Fit is the car you want if you’re looking for a sporty 5-door car that’s designed with style and packed with numerous technologies that’ll excite everyone. Here at our full-service Honda dealership, you can explore the 2019 Fit in several colors and trims. Features like the 1.5L 4-Cylinder Engine, 6-Speed Manual Transmission, Eco-Assist™ System and available Honda Sensing® safety technology make this a car that you’ll definitely want to see for yourself. Head over from Seattle, WA to Honda Auto Center of Bellevue to experience it first-hand in your test drive! The 2019 Honda Fit is a superb car that’s worth your in-person analysis. 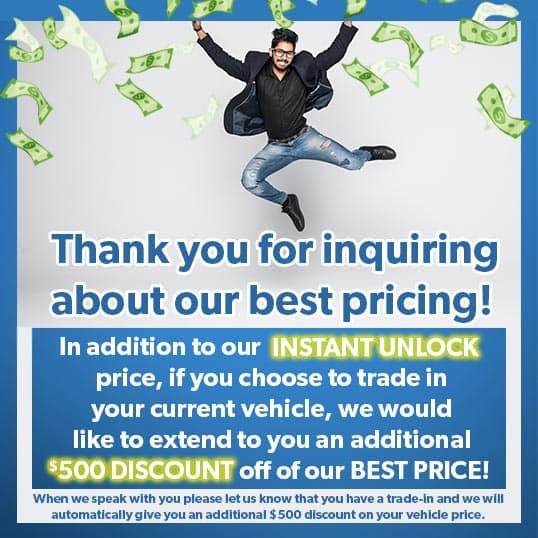 That’s why our teams here at Honda Auto Center of Bellevue invite you to take advantage of our easy-to-use website where you can schedule your test driveof the Fit or any other new Honda car for sale that catches your eye before you head over from Renton. You can even use our resourceful online vehicle estimation tool to value your trade-in if you’re planning to upgrade. Our expert teams look forward to assisting you with any automotive need you may have, so visit us today! Interior Features: Air Conditioning with Air-Filtration System, Power Windows with Auto-Up/Down Driver's Window, Power Door Locks/Programmable Auto-Locking Doors, Illuminated Driver's Window and Door Lock Controls, Cruise Control, Tilt and Telescopic Steering Column, Center Console with Armrest and Storage Compartment, Beverage Holders, Driver's and Front Passenger's Vanity Mirrors, Map Lights, 12-Volt Power Outlets (front/center console), Passenger-Side Seatback Pocket, Remote Fuel Filler Door Release, Rear Window Defroster, Cargo Area Light, Door-Pocket Storage Bins (front/rear), Illuminated Steering Wheel-Mounted Controls. Exterior Features: Two-Speed Intermittent Windshield Wipers, Body-Colored, Power Side Mirrors, Roof-Mounted Antenna, Security System with Remote Entry, Multi-Reflector Halogen Headlights with Auto-On/Off, One-Touch Turn Indicators, Body-Colored Rear Roofline Spoiler, LED Brake Lights, Intermittent Rear Window Wiper/Washer, Body-Colored Door Handles. Interior Features: Air Conditioning with Air-Filtration System, Power Windows with Auto-Up/Down Driver's Window, Power Door Locks/Programmable Auto-Locking Doors, Illuminated Driver's Window and Door Lock Controls, Cruise Control, Tilt and Telescopic Steering Column, Center Console with Armrest and Storage Compartment, Beverage Holders, Driver's and Front Passenger's Vanity Mirrors, Map Lights, 12-Volt Power Outlets (front/center console), Passenger-Side Seatback Pocket, Remote Fuel Filler Door Release, Rear Window Defroster, Cargo Area Light, Door-Pocket Storage Bins (front/rear), Illuminated Steering Wheel-Mounted Controls, Leather-Wrapped Steering Wheel and Shift Knob. Exterior Features: Two-Speed Intermittent Windshield Wipers, Body-Colored, Power Side Mirrors, Roof-Mounted Antenna, Security System with Remote Entry, Multi-Reflector Halogen Headlights with Auto-On/Off, One-Touch Turn Indicators, Body-Colored Rear Roofline Spoiler, LED Brake Lights, Intermittent Rear Window Wiper/Washer, Body-Colored Door Handles, Fog Lights, Front Underbody Spoiler / Rear Diffuser with Orange Accents, Side Underbody Spoilers, Chrome Exhaust Finisher. Interior Features: Air Conditioning with Air-Filtration System, Power Windows with Auto-Up/Down Driver's Window, Power Door Locks/Programmable Auto-Locking Doors, Illuminated Driver's Window and Door Lock Controls, Cruise Control, Tilt and Telescopic Steering Column, Center Console with Armrest and Storage Compartment, Beverage Holders, Driver's and Front Passenger's Vanity Mirrors, Map Lights, 12-Volt Power Outlets (front/center console), Passenger-Side Seatback Pocket, Remote Fuel Filler Door Release, Rear Window Defroster, Cargo Area Light, Door-Pocket Storage Bins (front/rear), Illuminated Steering Wheel-Mounted Controls, Push Button Start, Sliding Sunvisors, Cargo Area Tie-Down Anchors, Floor Mats. Exterior Features: Body-Colored, Power Side Mirrors, Roof-Mounted Antenna, Security System with Remote Entry, Multi-Reflector Halogen Headlights with Auto-On/Off, One-Touch Turn Indicators, Body-Colored Rear Roofline Spoiler, LED Brake Lights, Intermittent Rear Window Wiper/Washer, Body-Colored Door Handles, Fog Lights, One-Touch Power Moonroof with Tilt Feature, Smart Entry with Walk-Away Auto Lock®, Variable Intermittent Windshield Wipers. Interior Features: Air Conditioning with Air-Filtration System, Power Windows with Auto-Up/Down Driver's Window, Power Door Locks/Programmable Auto-Locking Doors, Illuminated Driver's Window and Door Lock Controls, Cruise Control, Tilt and Telescopic Steering Column, Center Console with Armrest and Storage Compartment, Beverage Holders, Driver's and Front Passenger's Vanity Mirrors, Map Lights, 12-Volt Power Outlets (front/center console), Passenger-Side Seatback Pocket, Remote Fuel Filler Door Release, Rear Window Defroster, Cargo Area Light, Door-Pocket Storage Bins (front/rear), Illuminated Steering Wheel-Mounted Controls, Leather-Wrapped Steering Wheel and Shift Knob, Push Button Start, Sliding Sunvisors, Cargo Area Tie-Down Anchors, Floor Mats. Exterior Features: Roof-Mounted Antenna, Security System with Remote Entry, Multi-Reflector Halogen Headlights with Auto-On/Off, One-Touch Turn Indicators, Body-Colored Rear Roofline Spoiler, LED Brake Lights, Intermittent Rear Window Wiper/Washer, Body-Colored Door Handles, Fog Lights, One-Touch Power Moonroof with Tilt Feature, Smart Entry with Walk-Away Auto Lock®, Variable Intermittent Windshield Wipers, Heated, Body-Colored Power Side Mirrors with Integrated Turn Indicators.